ABI Electronics, manufacturer of test and measurement equipment in Barnsley (South Yorkshire), announces the successful delivery of its largest order to date, supplied to the education sector in Colombia. The end customer SENA is a Colombian public institution focused on the development of professional training programs. SENA chose ABI Electronics for an equipment package with a value of $1,300,000. The recent changes in the global economy as well as the new requirements for environmentally friendly practices have changed the general industry in unforeseen ways. Willian Santos, business development manager at ABI, explains: “In most countries, it is evident that companies have become much more conscious about their maintenance processes and related costs. Budget restrictions and the ever-increasing pressure from local governments to be more ‘green’ are driving businesses towards a “repair, not replace” strategy. This is creating a demand for people capable of managing electronics maintenance in a more effective way”. Willian adds: “These changes produce an increasing pressure on education and training providers, forcing them to keep pace with the industry demands for qualified graduates with strong abilities in the fields of electronics fault finding and repair”. In Colombia, SENA identified these requirements through their local industry partners but also via the free trade agreement signed with the USA. The research conducted within this agreement indicated that a long downtime of production equipment would have a negative impact on the country’s competitiveness. Thus, the national directors set about modernising the education infrastructure through country-wide projects incorporating all disciplines. In order to keep with the slogan “SENA, a world class organisation”, SENA turned to worldwide companies with a proven success in education and an ability to provide internationally recognised training. 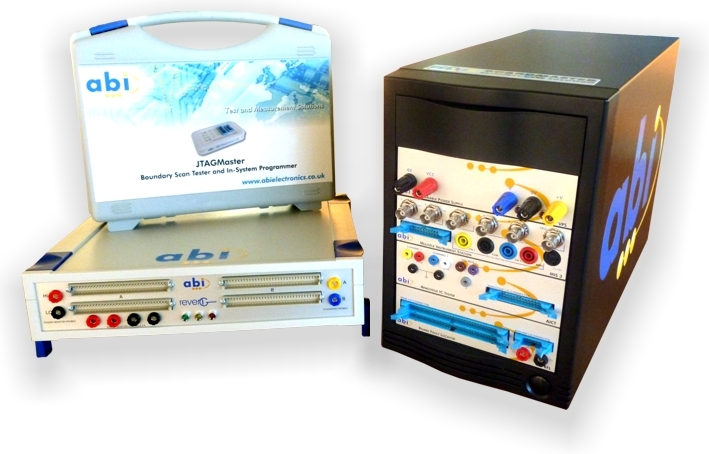 ABI Electronics has long been a major partner of education organisations around the world, supplying proven quality equipment for the teaching of basic and advanced fault finding techniques in electronics. In addition, ABI has formed strong ties over the years with key influential organisations in this sector, including WorldSkills and SENAI (Brazil). Thanks to this established recognition and the support from ABI’s local distributor Negenex in Bogotá, the national directors at SENA approved ABI Electronics as a partner for their restructuration project. Subsequently, the curriculum was adjusted to include the topics of PCB repair, electronics maintenance and reverse engineering. A range of ABI equipment was carefully reviewed and selected in order to supply 10 technical schools initially, with a further 15 schools in the second phase of the project (2013). In return, ABI Electronics also offered a complete training package, including IPC 610 (through Electronics Yorkshire) as an internationally recognised certification. Selecting ABI as a supplier was driven not only by the quality and capabilities of the equipment but also by the extended support that ABI offered during the whole process. For instance, the software platform was redesigned to offer a version in Spanish, which is available “offline” for students to work at their convenience without hardware. Users will also benefit from a training package with a range of interactive exercises (also in Spanish) that can be implemented live using a special training board. A complete 3-week training course, covering all aspects of the hardware and software capabilities, was developed by ABI and will be delivered in the UK to a number of selected lecturers. In addition, Electronics Yorkshire will deliver the course for ‘Acceptability of Electronic Assemblies’ (IPC 610) as it is accredited by the American National Standards Institute (ANSI). The aim of IPC is to standardise the assembly and production requirements of electronics equipment and assemblies. This modular package, highly popular in many fields of applications, offers in-circuit functional testing of components for both digital and analogue electronics. Other capabilities include power-off signature analysis and many re-designable traditional instruments, such as a digital storage oscilloscope and a function generator. This versatile solution is capable of in-system programming and boundary scan testing for JTAG-enabled devices, a common configuration on recently designed PCBs. The RevEng package enables users to produce professional quality circuit diagrams from a sample board. The commitment made to ABI Electronics, as well as the magnitude of the order, demonstrate the real need and dedication of the education sector to keep improving and responding to the demands of the market. It also highlights the continuous efforts made by ABI Electronics to develop suitable and easy-to-use solutions aimed at the repair and maintenance of electronics. These solutions not only apply to the education sector but also, and largely, to all sectors of industry including telecoms, automotive, transports, heavy industry, aviation, armed forces and general maintenance businesses. Finally, this example shows the importance for UK businesses to expand beyond local boundaries to reach lucrative opportunities, especially in South America. ABI Electronics continues to proactively expand its market share, both in the UK and abroad, by regularly releasing new products, software and training material. SENA’s ambition to restructure their organisation will undoubtedly have positive repercussions on both new graduates and the electronics industry in general. What’s more, the new structure in place will allow SENA to team up with local companies and offer PCB repair and consultancy for low-volume projects.